You must be able to troubleshoot your sewing machine and have intermediate sewing machine skills. The GOAL of this workshop is to create a master bodice, skirt and sleeve pattern that fits your personal measurements by altering the fitting shell to achieve the best fit. You'll also learn to mark and notch your pattern and manipulate darts. You'll reduce or add fabric where needed. 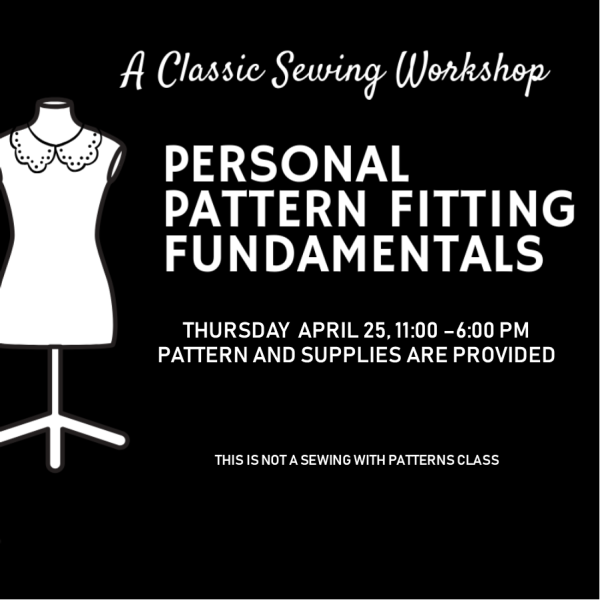 The instructor shares terms and terminology to help you better understand pattern construction for a better fitting garment. Learn to prep your pattern pieces for smooth and effortless assembly. Wear a tight fitting t-shirt, leggings or opaque tights in order to capture true measurements and for multiple fitting changes. Your body form if you have one.